Out at one edge of our service area lies a small village which I visited a couple of times this year. It has a beautiful view of the bay and snow-covered, majestic mountains across the water. There are no stores, traffic lights, or even paved roads. There are schools though- an elementary, middle, and high school. Here, the kids head home from school for lunch in twos or threes on four wheelers or on foot. My trips to the village are part of Storytime on the Go, a seasonal program designed to provide early literacy experiences, similar to what I offer at the library, to community members living at the outer edges of our large service area and to promote library services and programs. Many of the people with whom I share Storytime on the Go don’t make it to the library, at least during the Winter. Some families don’t come because of the weather, others can’t make the long drive, and some for cultural reasons. I’m sure there are other reasons that I don’t know. During my visits to the village, I spend about 45 minutes with a small group of about fourteen kids in a K-1 class. They are enthusiastic learners with quick smiles and lots of interesting questions and insights. My storytimes elsewhere are targeted at preschool age kids or toddlers and their families, but here I bring stories for the older kids for a few reasons. Many kids in the village don’t come to the library often, if ever, so I am a new face and bring some different books than they might have at school or at home. There also isn’t a community space to meet with the few preschool age kids in the village. Lastly, I am only fluent in English and since the community speaks English as a second language and many kids don’t start speaking English until they start school, visiting with the Kindergarten and 1st graders is a nice fit. Beyond what books I bring or activities we do, my first consideration is when to visit the school. The village’s school calendar reflects their community holidays which vary from the other school calendars in the district. This year, like last, I showed up after lunch and before recess, a perfect window for sharing storytime. It also allows me to host a family storytime in another part of our service area before I head to the village. As with storytimes at the library, the kids and I read, talk, laugh and play easily together. Because of community traditions though, we don’t sing or clap or dance. 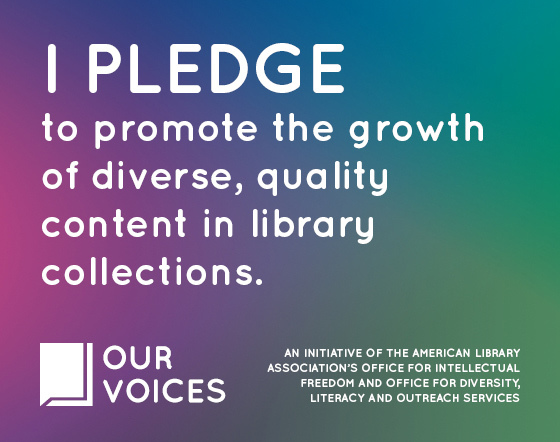 While some tried and true early literacy practices are hard to part with, cultural considerations are an important part of outreach. Sometimes I change a song into a rhyme, saying the words slowly and dramatically instead of singing them to reap the early literacy benefits. I look for books that reflect the kids’ experiences and interests and spend time talking about aspects of the stories that might relate to their daily lives, not unlike any storytime experience really. We do have a Russian language collection of books and movies for all ages at our library, but I read English language stories because of my limited knowledge of Russian. For example, I might ask, “How do you say (___) in Russian?” or “Do you have a garden in the summer?” The kids loving teaching me new words! I also read Snap! at the library as part of an Alligator & Crocodile storytime with preschoolers. 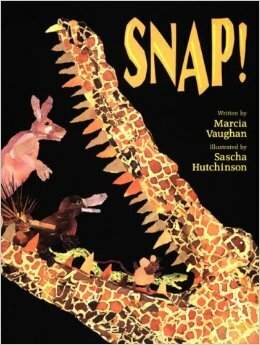 It is truly a magical story with just the right amount of repeated text, a trickster element, new kinds of animals to learn about (from Australia), onomatopoeia, interesting illustrations of torn paper collages, and more. Be prepared to have so much fun with this tale that you’ll lose track of time! 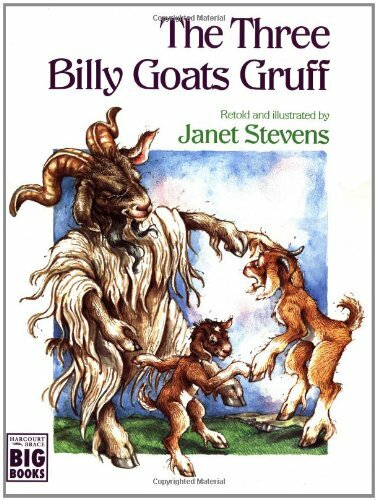 This is a classic Norwegian tale by Janet Stevens about three goats trying to cross a bridge to greener pastures and an ugly troll who wants to eat them instead of let them pass. There is lots to enjoy about a tale like this one: the concept of size, interpreting the illustrations and finding the hidden features (rock faces), and repetition. Since this is a familiar story, it was easy for the kids to help me tell it as turned the pages. This a silly little story by Shelley Moore Thomas and Paul Meisel, follows the antics of three little dragons who are good-hearted and responsible, but can’t read. So, when they try to care for the old wizard’s cats, they make lots of mistakes. 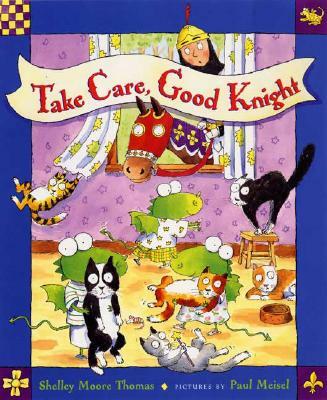 Their friend, the knight, comes to their rescue and helps them decipher the care instructions and learn to read. We had a good laugh about the play on words! I know the trip to the village is worth it because the kids and I have such a great time together, but there are other signs of success. I was invited back for a second year. I see families I met through the storytimes at the library on occasion and I can great many of the kids by name. The school will again be taking a field trip to town with a stop at the library later this Spring!